Detection Method: We support 2 modes of detecting changes: Datetime and Checksum. With Datetime, the file’s modification time is used to detect if there have been any changes. With Checksum, we perform a cryptographic hash on each file to detect if the hash has changed. This is expensive operation and should not be used on extremely large data sets. Time Interval: This is the number of minutes that NC will wait before re-checking the source files for modification. 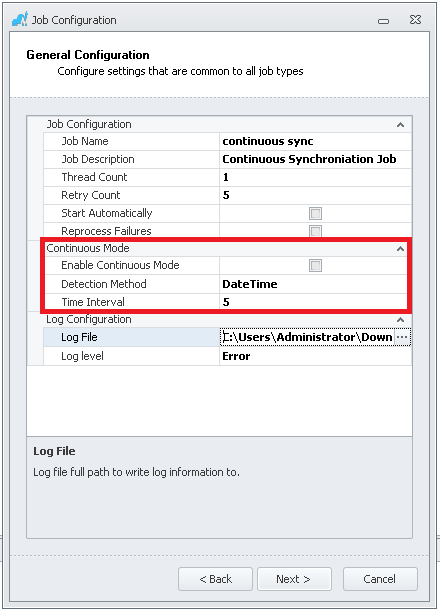 If you’d like “Continuous Mode” to be truly persistent, please also ensure that the job is set to start automatically (when the Nava Certus service starts) and also make sure that the Startup Mode for the NC Service is also set to Automatic (in order to persist across reboots). The past version of NC required .NET Framework 4.5. This made it impossible to run on older versions of Windows including Windows Server 2003 and Windows XP. The 4.5 requirement has been removed, allowing you to run NC on a much bigger population of servers and machines. Today’s release also has several enhancements, including an improved GUI and enhanced information in reports. 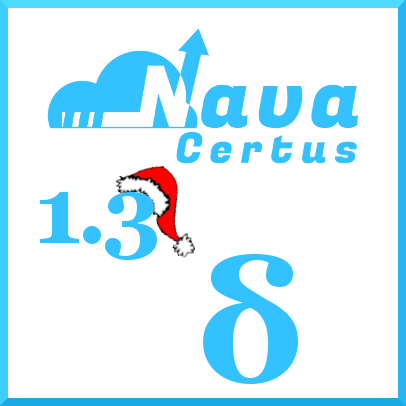 Check out the full release notes here: Nava Certus 1.3 – Release Notes.